Home Companies Ningbo Yuhui Communication Equipment Co., Ltd.
6. With port no.printing,not easily moved.With cable manager bar. 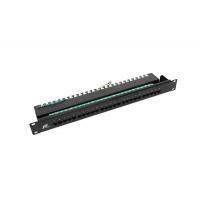 Space saving high-density 1U (24 port ,48port ,25port,50port available).